Not only can we help supply and source a camper for you – we also offer storage and support! 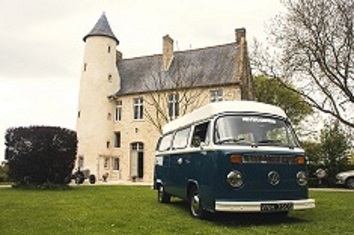 Going to the chapel and you’re gonna get married, going to the chapel in a camper van! Welcome to Kevs Kampers! 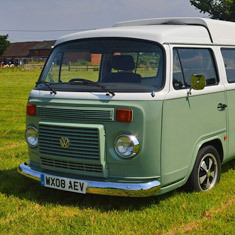 The family owned, friendly VW campervan company, run by Kevin, Maxine and their family. Not only can we help supply and source a camper for you – we also offer storage and support through our network of contacts, built up over the last seven years. 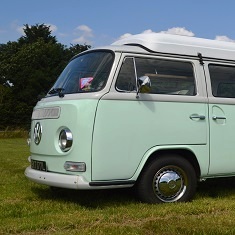 We also have a collection of classic VW campers are available for chauffeur driven weddings. So please have a look around our website and see which of our campers would best suit your occasion. We would like to recommend our friends in Wokingham called Joyful Journeys. We’ll be adding dates of 2019 shows soon – watch this space……. We hired Honey from Kevs Kampers for our wedding. 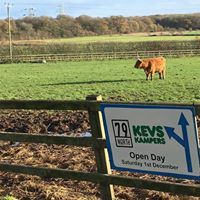 We originally booked Bluebelle to fit in with our blue colour scheme but as she wasn’t available Kevin volunteered to temporarily colour Honey blue for the day and she looked stunning!! The service from Kev and the team was great and would definitely recommend! Thanks again, Rich and Lottie.